Drinks supplier Off-Piste Wines is launching a canned version of its Most Wanted wine range to appeal to millenials and create interest on shelf. 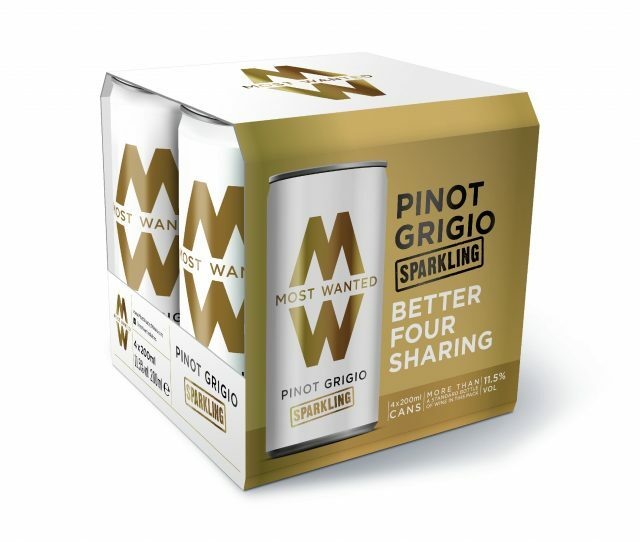 The new wines comprise a Most Wanted Pinot Grigio Sparkling and Pinot Grigio Pink Sparkling, which are available as a single can (RRP: £2.25) or as a 4-pack (RRP: £8). Speaking to db recently, the drinks supplier’s co-founder Paul Letheren said different formats were one of the most interesting trends in the current retail scene. “We’ve done a lot of work on small cans, which have been very well received. First we had Pinot Pinot, and we’ve just launched the Most Wanted into cans, with Morrisons listing a four-pack,” he said. The move, Letheren said, would also generate greater interest in the fixture and creating different dynamic and promotions that did not rely purely on price. Other moves, he identified included the rise of premium Bag-in-box wines (the supplier is set to launch a Marlborough Sauvignon Blanc in Waitrose) and the proliferation of magnums on supermarket shelves. “If you work in 75cl bottles, there’s only so much you can do,” he said. Brand manager Rachel Archer said the potential for wine in cans was “huge”. In the US, canned wines have increased in popularity, according to retail analysts, Nielsen, with sales up 125% in the year to June 2016, fuelled by increasing interest in wine amongst millennials, and seven-fold since 2012. Euromonitor forecast that wine sales in sizes up to 600ml would grow by 4.9% globally, outstripping those of total wine at 1.8%, Archer pointed out. In April, Off-Piste launched the varietal-led range into single serve pouches to target the on-the-go market and festival-goers, with sparkling Pinot Grigio, Pinot Pinot following shortly afterwards, designed to tap into the rising popularly of Prosecco and demand for on-the-go easy-to-use food and drink. In April, the retailer launched the range into single serve pouches to target the on-the-go market and festival-goers which have since launched in The Co-op. The convenience retailer has signalled a move towards stocking more fractional bottles and innovative formats to appeal to the convenience and mid-week shopping, saying it was important to allocated enough space in the fixture to make it “credible”. The Most Wanted range was developed by Off-Piste winemaker Clem Yates MW and npd and brand manager Rachel Archer, the brains behind Copestick Murray’s ‘I heart wine’ brand, and launched in May 2015 with four skus. It has since expanded and includes an Albariño from Rías Baixas, a Marlborough Sauvignon Blanc, a Pinot Noir from Nelson, a Malbec, South Australian Shiraz and a Cabernet Sauvignon from the Western Cape. Further lines have been planned with a Prosecco and ‘niche’ wines such as Primitivo, a Riesling from Clare Valley, Coonawara Cabernet Sauvignon, a Chenin, Pinotage and Gruner Veltliner being considered.